This Fisk flange porcelain sing measures 26″ by 20″ and is navy blue and yellow. The sign shows a little boy holding a tire on his shoulder. 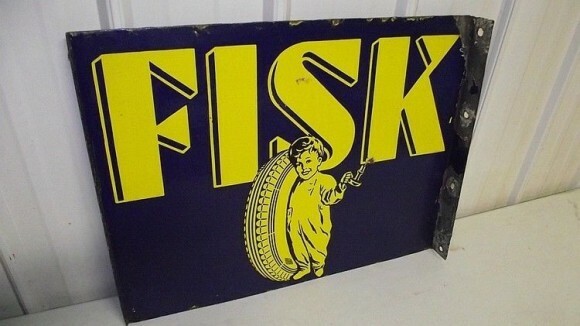 The sign reads “Fisk” and is a flange sign.